Since 1878 the Locomotive sheds at Eveleigh have been a place of invention and creation. 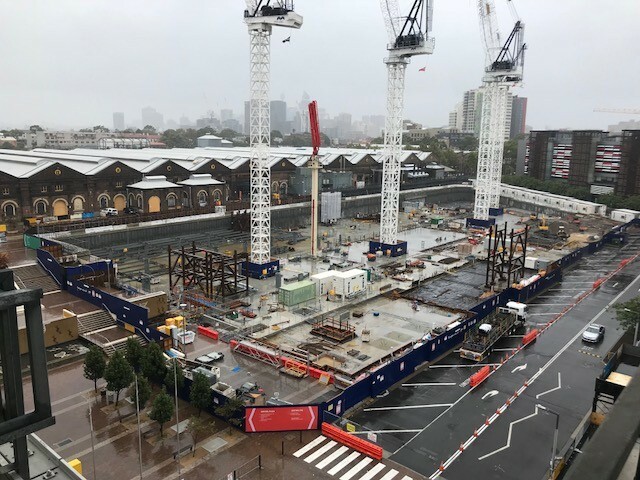 Today the CBA are making history as the biggest workplace transformation project yet undertaken in Australia reaches a major milestone. For the past 2 years we have been supporting the Commonwealth Bank, the worlds 10th most financial successful bank reshape the way it works and engages with its customers and local communities. Their new campus at Australia Technology Park is set to redefine how people think and operate in the worlds newest innovation, technology and creative hub. It was a great moment to have the Minister for Planning Anthony Roberts and development owners, AMP Funds Manger Nick McGrath, the CEO of Mirvac, Susan Llyod-Hurwitz along with our our client Jenifer Saiz Head of Group Property and Security all pay tribute to the work done so far. © Copyright 2017 : Davenport Campbell. All Rights Reserved.